The new school year brings with it hopes, challenges, and excitement. Will this school year be different? Will the new teacher be able to motivate your child to excel at school? Will someone be able to figure out the key to getting your child to succeed in school? When parents find out that their child is struggling in school, they attempt to help them by trying to get at the root of the problem, only to discover a complex maze with professionals disagreeing and vested interests being challenged. Many parents get overwhelmed by the conflicts and the information overload but they keep searching for answers. According to the American Optometric Association, studies indicate that 60 percent of children identified as “problem learners” actually suffer from undetected vision problems and in some cases have been inaccurately diagnosed with attention deficit disorder (ADD) or attention deficit hyperactivity disorder (ADHD). Yet the majority of school-age children have never had an eye exam because they have passed vision screenings at the pediatrician or school nurse’s office. The College of Optometrists in Vision Development has set aside August as National Children’s Vision and Learning Month to help educate parents on the vital role vision plays in a child’s ability to read and learn. Even though there is a wealth of optometric research which proves vision therapy works, as Dr. Donovan mentioned there is false information in the medical community about vision therapy. This can be confusing for parents, especially when it comes from their child’s pediatrician. Optometric vision therapy treats vision problems that make reading and learning difficult. While vision therapy does not treat dyslexia, vision problems can often be misdiagnosed as learning disabilities such as dyslexia or even ADHD. Once the vision problem is treated, tutoring and other educational remedies are much more successful. 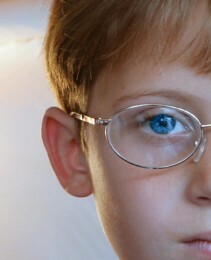 of Optometrists in Vision Development, www.covd.org, to find a developmental optometrist near you. Carole L. Hong, OD, FCOVD, board certified in vision development, has been practicing in San Carlos for over 15 years. She is an expert in children’s vision, vision and learning, and treatment of vision problems for those with autism spectrum disorders, other developmental disabilities, head injury, and stroke. She can be reached at (650) 593-1661 or email@familyvisioncare.org. Share the post "Testing 15 Visual Skills May Be Key to Learning Difficulties"